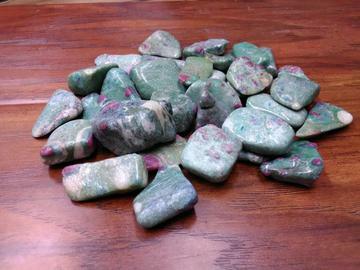 Ruby Fuchsite promotes physical vitality, recovery/relief from extended or chronic illness and can be of assistance for strengthening the heart and blood flow/circulation issues. A wonderful piece to keep close for those who have trouble going to sleep and/or staying asleep. Stone Sizes Range From - 5/8" - 1 3/4"